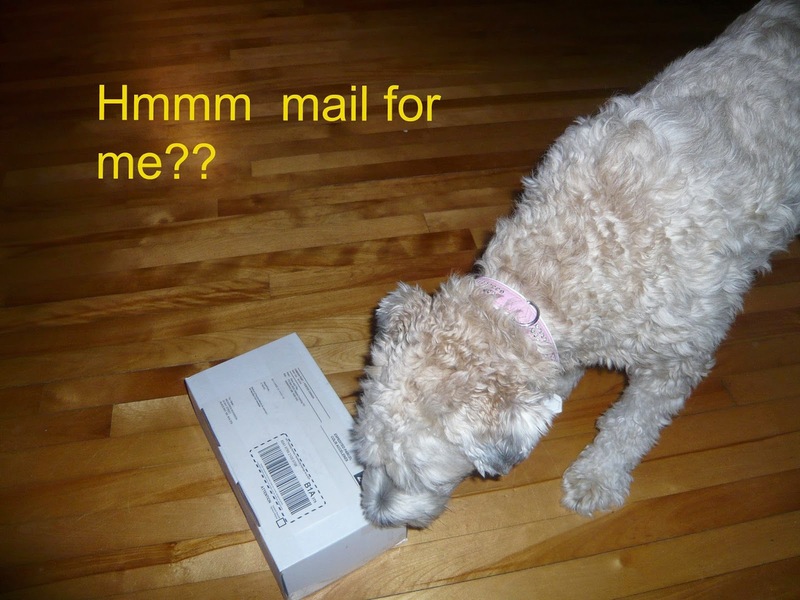 Since our household was having so much fun with pet subscription boxes, I decided to order one for my doggy-niece Meadhren (a soft coated Wheaten Terrier) as an early Christmas present. 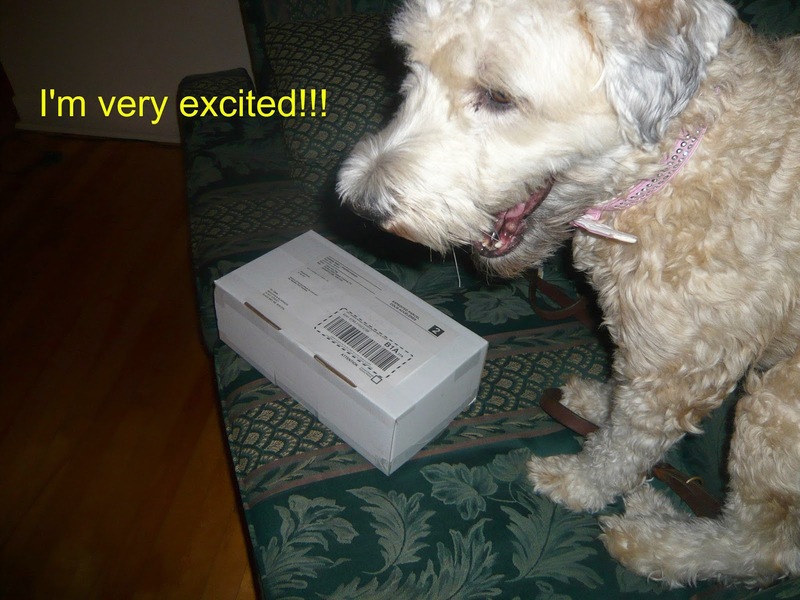 It arrived quite quickly in Cape Breton and Meadhren's Ma, Lillian gave me the updates! Christmas came a little early. Paws and Play have a number of gift options but I decided on the Everyday Gift Box for Dogs (I selected Medium sized doggies). These boxes cost $19.95 plus shipping. Total declared value of $37.95. With the cost being $19.95, a pretty good value and a big doggy hit! 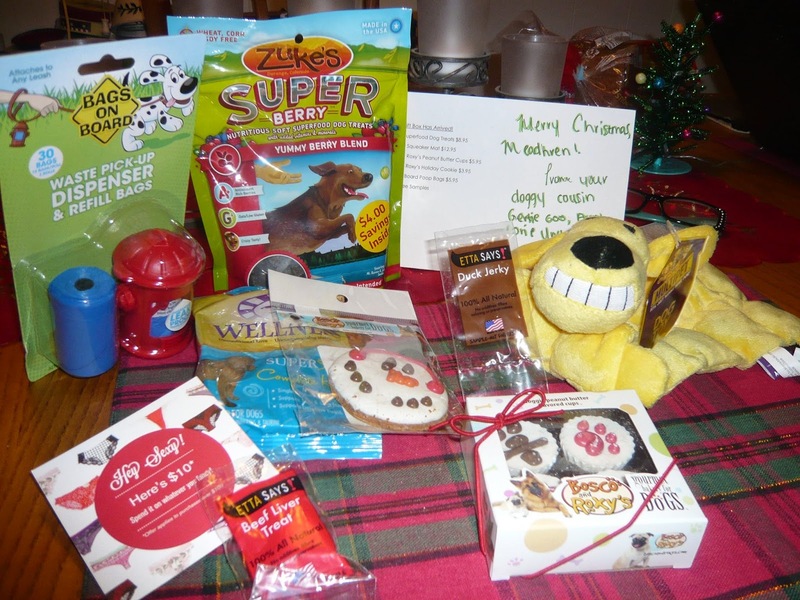 They do cat boxes and mixed pet family, holiday themes and pet parent boxes as well.